Multimedia PowerPoint templates, backgrounds Presentation slides, PPT Themes and Graphics. Today the world is digital. Everything be it shopping, bookings or marketing is getting digitized. With this, our multimedia PowerPoint presentation templates are getting popularized too. These presentation slides are designed for all those corporate professionals who want a professional PPT template but are not keen to create by their own. Our multimedia communication PPT templates are graphically designed with texts included let your audience learn what you want to deliver. Make strategies to integrate various forms of media including audio, video and text, and engage your audience. You can have an access to website dynamic as well building more traffic for your web page. You can showcase feedback for your audience with real-time happenings. These slide templates are outstanding source to train your novice employees in cost effective manner. Adding to this our multimedia development team presentation slide templates can be a potential method to strengthen personal communication among the team and with customers. Download these innovative Multimedia presentation slide templates and edit colors, fonts and shapes to create an awesome PowerPoint presentation. Also browse free download section to avail free multimedia PPT presentation templates. 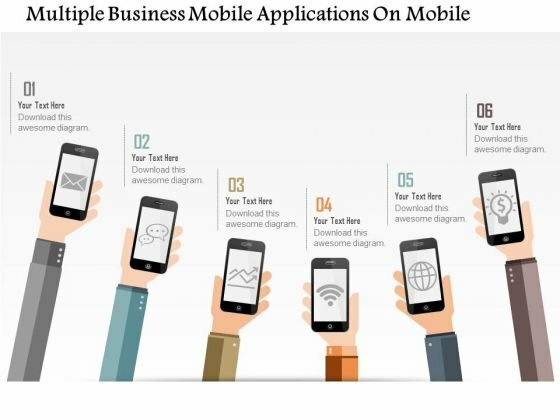 This business diagram has been designed with tablet and apps icons. 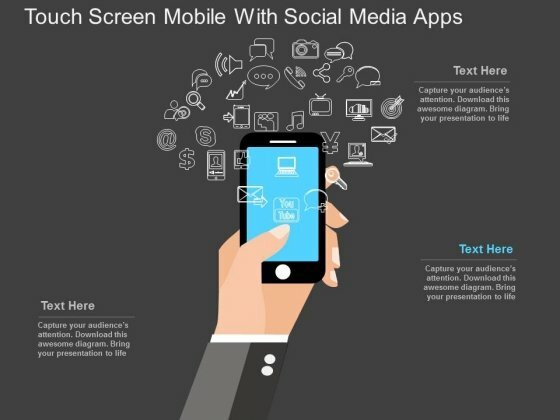 This slide suitable to present topics like communication, technology and social media. Use this diagram to present your views in a wonderful manner. Take the plunge with our Tablet With Mobile Apps Icons Powerpoint Templates. Success will surely ensue. This PowerPoint template has been designed with mobile and message apps icons. This diagram is excellent visual tools for technology related presentations. 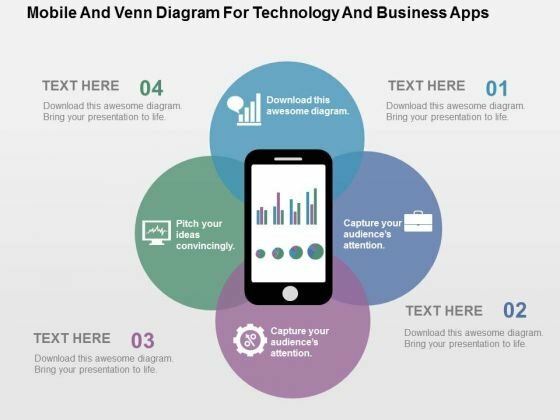 Capture the attention of your audience using this PPT diagram slide. 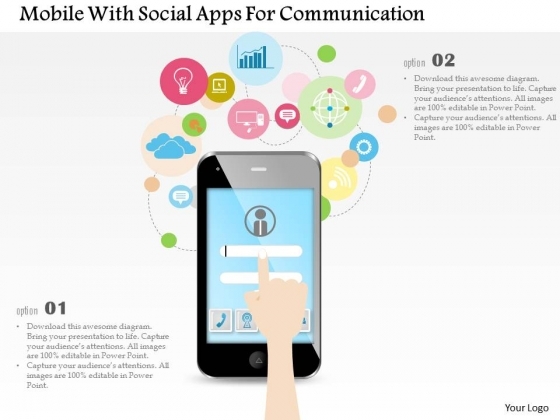 Take the plunge with our Mobile With Message Apps Icons Powerpoint Template. Success will surely ensue. 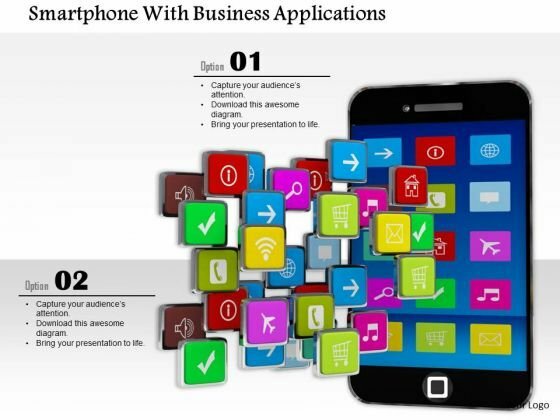 This image slide has been designed with graphics of smart phone with business applications. Use this image to depict business transaction through mobile apps. You may use this layout to display your content in an interesting, eye-catching manner.